Living near Wareham surrounded by stunning scenery of the Purbeck Isles in Dorset, I have no end of inspiration. My arts and crafts are my passion and something I work on full time. I studied a Diploma in Fine Art at the Bournemouth Arts Institute and I went on to do my BA Degree in Fine Art at the University of Chichester, graduating in 2007. I have been working as an artist alongside other jobs until taking the leap to become a full-time artist in 2014. Please drop me a line, like my facebook page or tweet me, I would love to know what you think about my art. After studying a Diploma in Fine Art at the Bournemouth Arts Institute I went on to do my BA Degree at the University of Chichester. In 2009 I was highly commended at the National Open Art Competition for my painting the ‘Abandoned Chair’ from the ‘Rubbish’ series. My work has been exhibited in the Minerva theatre and Pallant House in Chichester and also in Mayfair, London. My work ranges from animal portraits to landscapes, much of which is inspired by the wonderful local scenery of Dorset. I am currently available for private commissions and most of my recent paintings have been of pets, wildlife, houses and landscapes; you can see my recent work on the galleries page. Pet portraits are probably the most enjoyable part of my art. Living on a farm and growing up with an assortment of animals, I try to capture their unique personalities and display that in vibrant oil paints. I work from high-quality photographs which I prefer to take myself or can be sent to me. 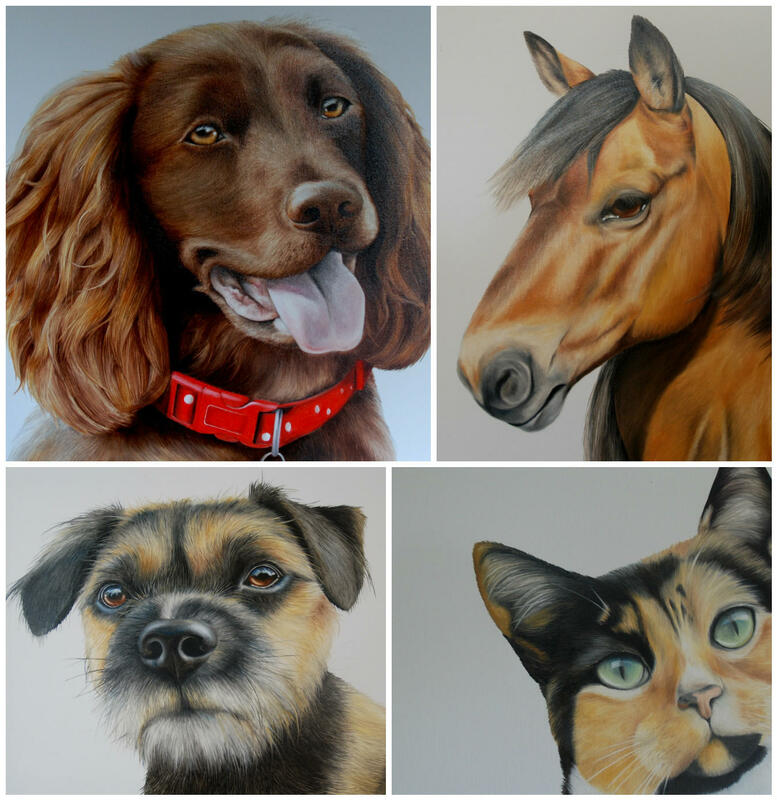 I have painted a wide range of animals and pets, including dogs, cats, horses, chickens, alpacas and even camels. A portrait of a pet makes a beautiful gift or complements a wall in any room. Please have a look through my website for samples of my work. All portraits are in oils and can take approximately six to eight weeks to complete, if you need one for a specific date or special occasion please let me know.